The Bounty Hunters are starting to pile up. One Bounty Hunter remains absent... one Bounty Hunter the community wants... one Bounty Hunter the community needs... Jango Fett! We will discuss the new bounty hunter Aurra Sing, the rework of Cad Bane, the new bounty hunter ship Hounds Tooth, and what this may all mean in the near future for the Bounty Hunters as the end of the quarter approaches. 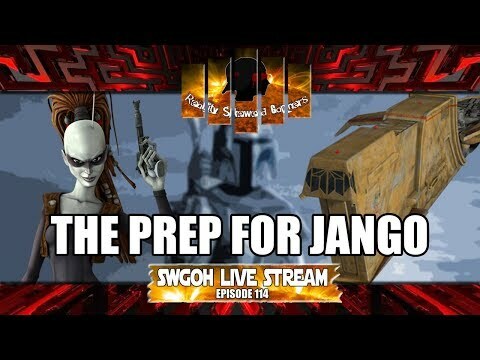 Join us for that and more on this episode of the SWGOH Live Stream... 114 straight weeks and counting!